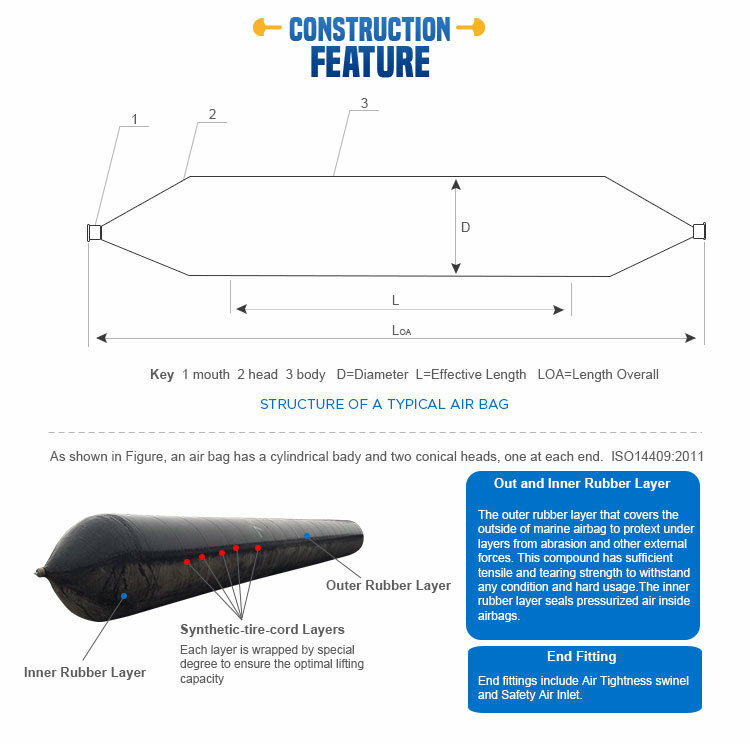 Marine rubber airbags' body includeÂ outer layer ,inner layerÂ andÂ synthetic-tire-cord layer. All the accessories are free for our clients. Note: 1. Rated working pressure may deviate Â±5%. Compress deformation may deviate Â±2%. 2. 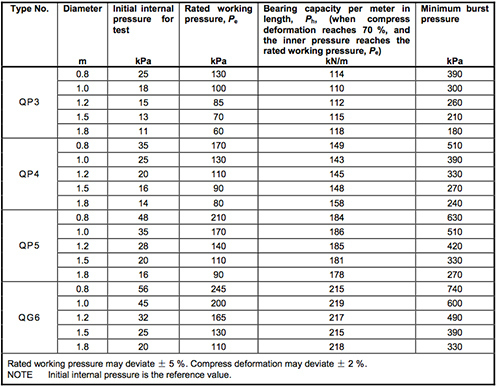 For the bearing capacity at different compress deformation, please refer our catalogue. 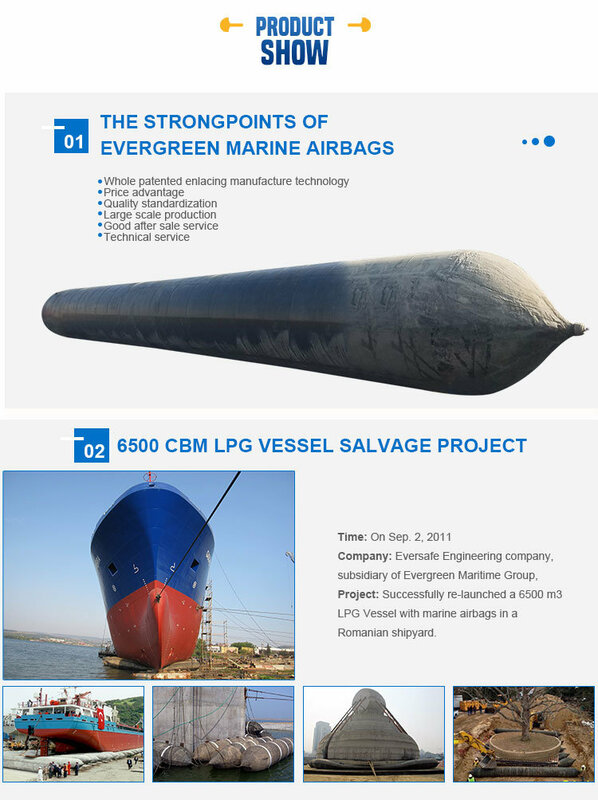 Evergreen Maritime ship launching airbags are type approved. This means we have demonstrated the performance of ship launching airbags to independent inspectors CCS. Type Approval Test is the essential and necessary qualification of qualified manufacturer of ship launching airbags. 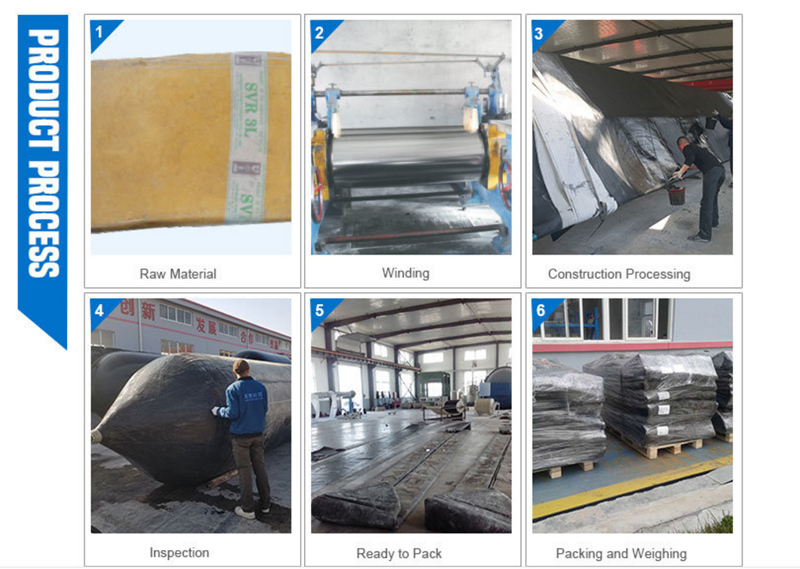 In addition to the requirements for the material, appearance and dimensional tolerances, "Gas-tightness Test", "Compression Test", "Bearing Capacity Test", "Bursting Test", and "Compression-recovery Test" are carried out. If you have any questions and requirements, please feel free to tell me. IÂ am happy to work for you.